Food producer Paul Begley, 46, had evaded taxes on imported garlic by describing them as apples. ONE OF IRELAND’S top food producers has been found guilty of dodging taxes on more than 1,000 tons of imported Chinese garlic and sent to prison. 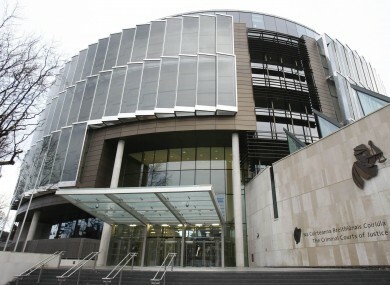 Paul Begley, 46, of the Blanchardstown-based Begley Brothers, admitted running a scam from 2003 to 2007 in which he instructed his Chinese suppliers to produce false export invoices labeling garlic as apples. The import duties on apples are just 9 per cent – but are up 232 per cent on garlic. The fraud allowed Begley to avoid €1.4 million in tax. He has been trying to repay the sum since Dublin Port customs officers discovered the deception in 2007 but still owes €700,000 . A Dublin judge sentenced Begley to six years in prison today. Begley Brothers Ltd employs 150 people in growing, importing and distributing fruit and vegetables across Ireland. Email “Man given six-year sentence for garlic tax scam”. Feedback on “Man given six-year sentence for garlic tax scam”.